High quality home accessories made of polished stainless steel with a handle of walnut. FLEUR convinces with its clearly design and geometric forms what makes this product elegant and timeless. Its ergonomic handle and the long spout enables convenient and exact drip-free watering. 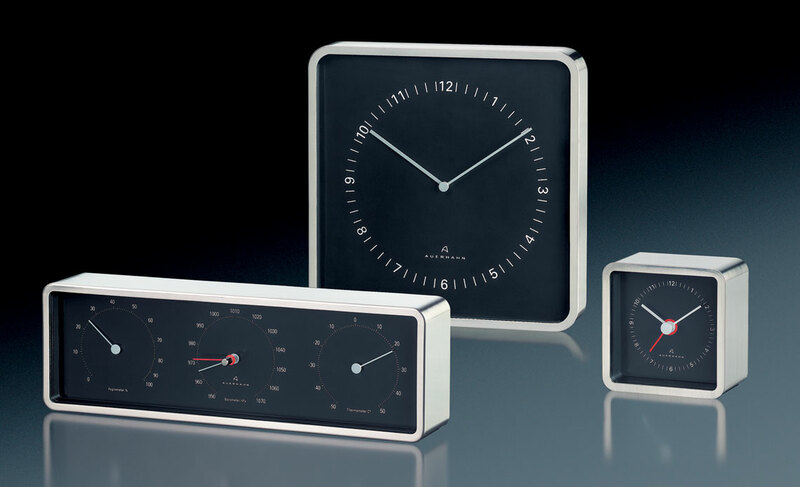 Minimalist design convinces through its sleek rectangular base form providing a harmonious impression of time. Housing made of matte stainless steel, clear clock face covered in a mineral glass. Expressed through a determined reduction to essential elements such as the Time. Clock hands, numbers and minutes index are the only elements in the structured clock face in black piano lacquer-optic – minute for minute concise and accurate.